Yup, I spelled that right. Skweezrs! One of the great thing about the Skweezrs company is that it was created by parents of an autistic daughter who were looking to create an affordable, quality product not only to suit their daughter’s needs, but to help other families with similar challenges by providing fun, high quality, affordable products. Skweezrs products work especially well for kids with Autism, PDD, Aspergers, ADD/ADHD, and other neurological disorders. I recently had to opportunity to review one of Skweezrs bed sheets. Skweezrs currently sells their products through an Etsy store, and their products are handmade and made to order. You get to choose what size sheet you want, and the colors you would like. Colors available when I ordered were: royal blue, red, yellow, lime green, purple, pink, turquoise, white, or black for the base of the sheet and red, navy blue, light blue, royal blue, yellow, lime green, purple, pink, turquoise, white, black, orange, or gray for the band. My son chose the royal blue base with a red band because those are Spider-Man’s colors! 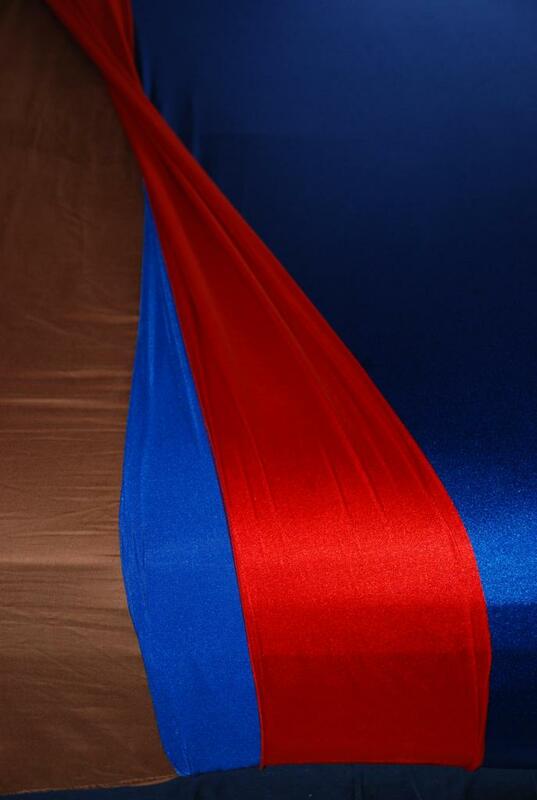 When the product arrived, I was immediately impressed with the color quality of the four-way stretch Lycra, as well as the workmanship. After inspecting the sheet, I quickly wondered what it was going to be like trying to pull the snug fitting sheet up over the mattress, and wondered if it was a two person job. To my surprise, it actually slid on pretty easily considering how snug the sheet is designed to be. Of course, the real test came when it was time for my kids to check it out. Both my kids loved it! Even my daughter who doesn’t have any sensory needs, in fact she started begging me for her own sheet. I have found that my son not only loves the sheet for sleeping, but he also likes to go to his room a couple times a day just to play under the sheet. He has told me over and over how much he loves his new sheet. It is also great in this warm weather because it offers pressure without the need for a heavy weighted blanket or heavy comforters. 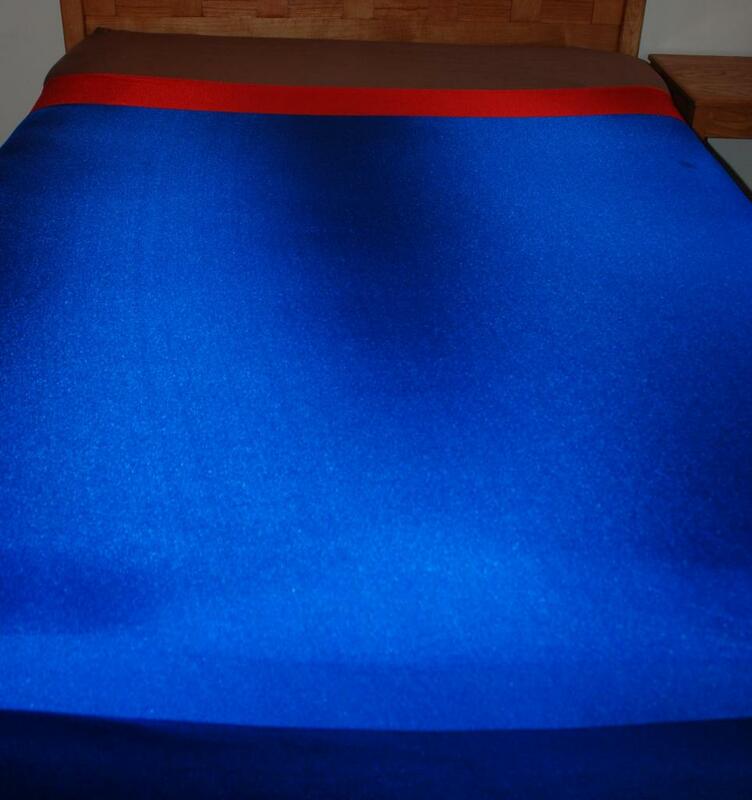 On cooler nights, we have just put regular blankets or comforters right over top the Skweezrs bed sheet. Skweezrs bedsheets come in various sizes from toddler size to queen, to correspond with your mattress size, as well as body socks. Price varies depending on size and customization. There are so many options, such as emblems like a superhero, princess crown, flower, the child’s name/initial, or polkadots. They can even do more complex embellishments like a Lego character, the solar system, or even some cartoon characters. I am very satisfied with our Skweezrs product, from the quality to useful it has been. Visit the Skweezrs Etsy Shop at http://www.etsy.com/shop/skweezrs. Also check them out on Facebook. You can also e-mail Skweezrs at skweezrs(at)gmail(dot)com.